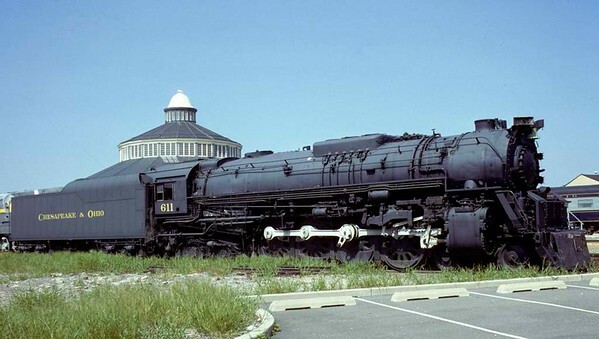 Chesapeake & Ohio RR 4-8-4 No 611, Baltimore & Ohio Railroad Museum, Baltimore, Maryland, August 1979. Behind the loco is the museum's 1884 roundhouse. Part of its roof collapsed under weight of snow in 2003, damaging some of the locos seen in these photos. All had been repaired by 2016. Photo by Les Tindall.